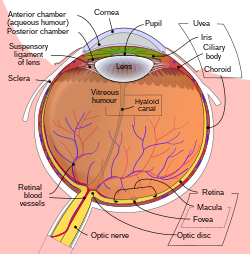 The pupil is the central transparent area (showing as black). The blue area surrounding it is the iris. The white outer area is the sclera, the central transparent part of which is the cornea.